From 2011, renowned tire manufacturer Michelin has been honoring the company’s outstanding providers of goods and services with a range of Suppliers Awards to recognize excellence. The fourth edition of these awards was held on October 25 at Aventure Michelin in Clermont-Ferrand, France. At the ceremony, the leading tire manufacturer company honored five suppliers from the over 40,000 suppliers it has across the world with these awards after a stringent selection process. 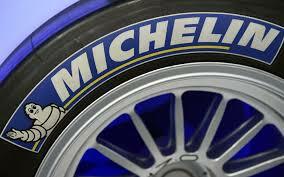 In view of the fact that purchasing costs account for over 60 per cent of the Group’s revenue, Michelin feels that the high quality of its relationship with its suppliers plays a key role in its success. The winners of the awards included companies all of which excelled in their respective areas. Bekaert and Solvay were the winners in the category of raw materials suppliers. Bekaert which specializes in steel wire transformation and coating technologies while Solvay is a specialty chemicals company Solvay which supplies highly dispersible silica for energy saving tires,It is a world leader in the chemicals industry and has been in the business from 1863. In the category of industrial purchasing, VMI and Himile emerged as the winners. VMI is a Dutch tire and rubber machinery supplier which supplies tire production and rubber cutting machinery to Michelin. Himile is a Chinese manufacturer which supplies tire mold machines to Michelin. The fifth winner of the awards was Human Technologies Inc which is one of the biggest recruitment and human resources companies in the southeast of the United States and qualified for the award in the category of services purchasing. The awards were presented to the winners by the Michelin CEO and Managing Partner, Jean-Dominique Senard and four members of the Group Executive Committee.